E. Archer lives in New York City. He is a fantasy geek. Geek Fantasy Novel is aptly named: it is both a fantasy novel about a geek and a fantasy novel for geeks. In this humorous novel, E. Archer satirizes a variety of fantasy and fandom clichés but without losing sight of two important things. 1. The novel should still tell an engaging story, above and beyond the comic elements. That is, if there’s nothing to the book but jokes, it’ll wear thin pretty quickly. Archer avoids this trap. 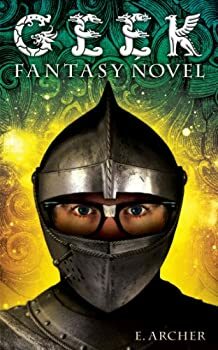 Geek Fantasy Novel is engaging throughout, whether it’s being funny or serious at any given moment.